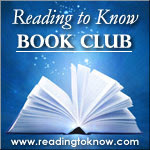 Annette from This Simple Home is hosting the discussion for this month's book club selection. We're back to children's classics this month and Annette decided to let us each select our title of preference by Maud Hart Lovelace. Below are some brief thoughts from Annette going into the month. It was not until a few years ago that I learned of Maud Hart Lovelace. Having read (and own) all of the Betsy-Tacy series and the Deep Valley series, I have been rather surprised that more children have not been exposed to MHL's writings. I rather delight in sharing MHL with others, so she was a natural choice for the Reading to Know Book Club. I find her somewhat autobiographical writing to be entertaining and fun, while learning a bit of life and culture in Deep Valley, Minnesota in the early 1900's. The Betsy-Tacy series is most well-known. This series begins with five year olds Betsy and Tacy who quickly become great friends. Early in the series, the books are written simply, for a young audience. As the series progresses, Betsy and Tacy grow up, as does the content and writing style. Betsy is a bit boy crazy in high school, but because it is nearly one hundred years ago, it is still quite tame. The reader gets to watch Betsy grow up and marry in Betsy's Wedding, the final book of the series. As you might guess, readers of all ages can enjoy the writing of Maud Hart Lovelace. The Betsy-Tacy series and the Deep Valley books have recently been republished, complete with additional author and character information. 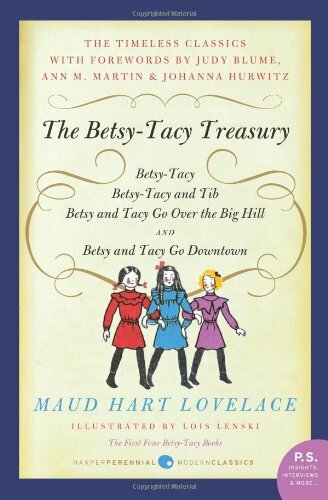 The first four books are found in the (highly recommended if you have a girl in your home between the ages of 6-12) Betsy-Tacy Treasury, and others are paired together, so you get two books for the price of one. The exception to this is my own favorite MHL title. Emily of Deep Valley is a stand-alone book which I will be rereading this month. Maud Hart Lovelace wrote other books and short stories for adults. Unfortunately, these are much harder to find (which is why I have not read any others). (I do hope a few of you have the opportunity to read a title I have not read yet!) You can read a bit more about her and see her list of books here and here if you like. Thanks, Annette, for hosting this month! I know I, for one, am looking forward to this month. So, who is with us and Lovelace?! I'm in! I'm hoping to read Carney's House Party myself and BTT Go Downtown with my girls. i am so much hoping to read these books..i will look for them here in some old book shops..
:) I forget which title is up next with the kids, but we'll read one aloud, too, in addition to Emily, who I will read on my own. I'm sitting this one out, but my wife will likely guest post for me. Yay! We're in. : ) We are actually almost done with Winona's Pony Cart (shorter that I remembered!) and I'm hoping to reread Emily for myself this month. We shall see! I'm undecided--life has been so crazy lately and I already have four books going. I enjoyed several of these books with my now-17-year-old daughter not so terribly long ago. . . I'm joining in! I need to make a trip to the library to pick up my books. 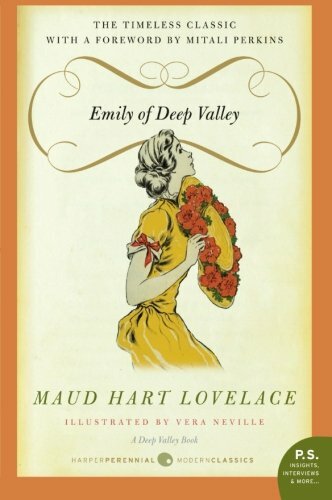 I think I'll be reading Emily of Deep Valley as I read a couple Betsy-Tacy books last year. Tentatively in! Basically it boils down to how early I get back from my trip. I think I should be able to crank out a few from the Betsy-Tacy series anyway. I got the first three when I was a kid as a gift from my parents, and I'm pretty sure they are kicking around the house somewhere.